Bourjois Sweet Kiss Naturel, a new lipstick available in 10 shades that promises to contain 100% natural ingredients and long-lasting colour. 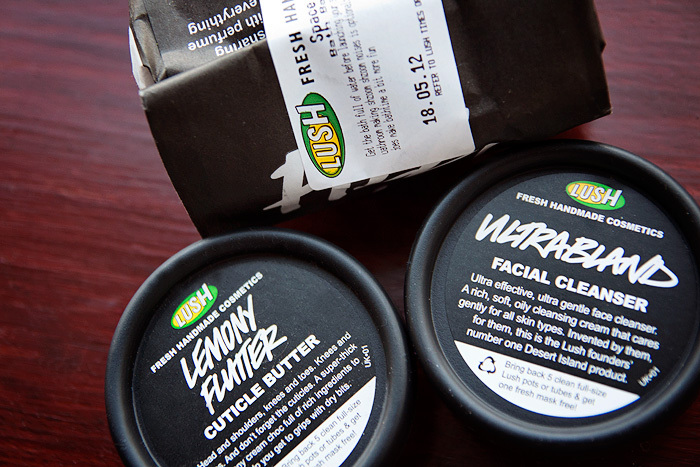 These natural ingredients include lovely-sounding things such as: magnolia oil, shea butter, jojoba oil, green tea, beeswax and mineral/plant pigments. The formula (which promises to be silky, melting and creamy) is a little bit harder than those adjectives would imply. 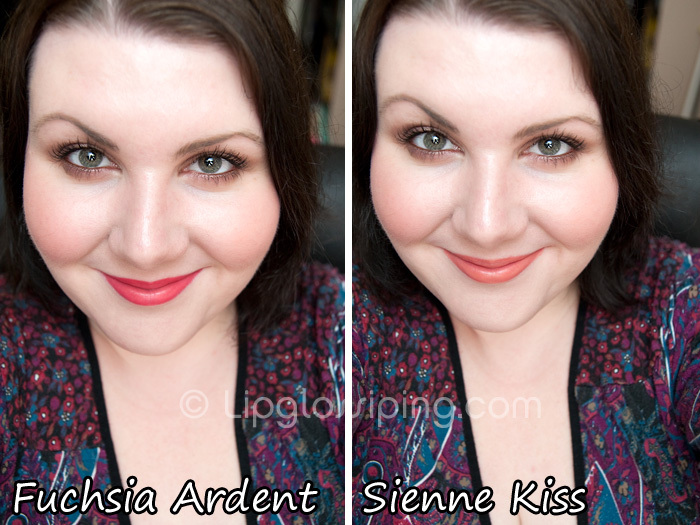 Though it certainly doesn’t create any drag on the lips, I’ve definitely applied softer-feeling lipsticks. Also, I’m not loving the scent. It’s quite waxy… but I guess it’s not easy to be vigilantly natural and delicately perfumed all at the same time… plus, I can’t smell it once it’s on my lips, only if I sniff the tube. 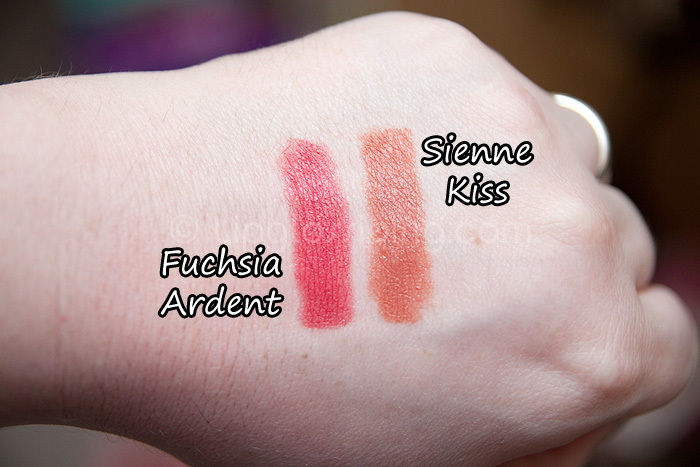 What I would say about the Sweet Kiss Naturel Lipsticks though is that they’re wonderfully light. I can apply a ton of product and STILL not feel like I’ve built up a layer of beeswax. 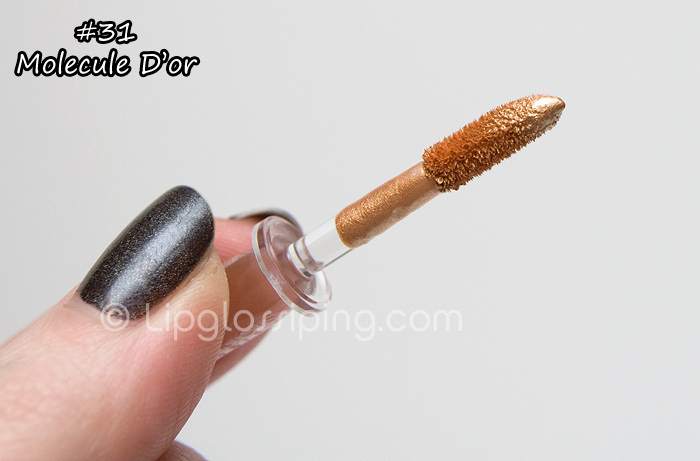 This results in fabulous pigmentation without any gloopiness or heaviness on the lip, and that’s a rather unusual and impressive achievement for a ‘drugstore’ lipstick. This is a few swipes straight from the tube, the lipstick applies sheerly at first but builds up to a great intensity as you can see. 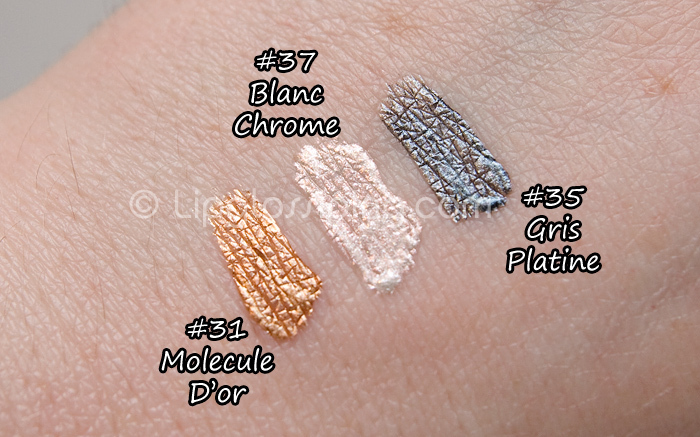 The finish is semi-matte and extremely easy to wear. Longevity is average despite claims of 8hr moisturising wear… perhaps if I were enclosed in a vacuum… but I do normal girl things like drink tea, eat muffins and chew on pencils, so these lasted around 3 hours on me before fading away leaving my lips just a touch drier than before… nothing that I’m not familiar with from other lip products. 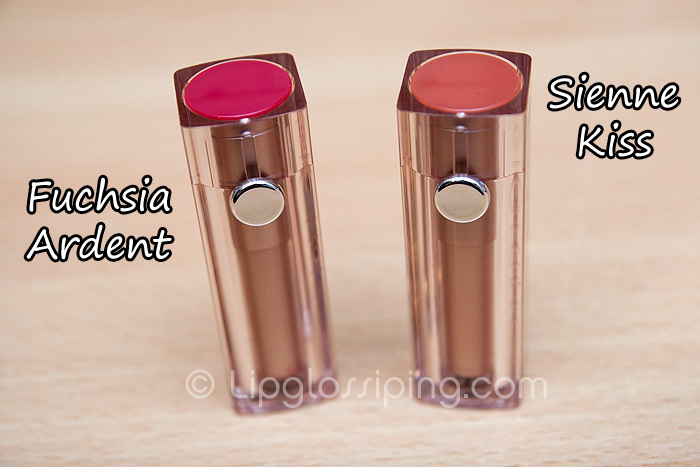 I would say that they bridge the gloss/lipstick gap… but they don’t, they’re too opaque and matte to be drawing any comparisons with gloss. Overall, at £7.99 (€11.99) each, I think they’re a great buy. Particularly if you’re usually uncomfortable with the heaviness of a lipstick. If you give them a try, let me know what you think! Bourjois have released a new nail polish collection which claims to give a false nail effect for up to 8 days. Bourjois False Nail Effect Nail Enamel is available in 8 shades and designed to cover any nail imperfections for a smooth and even finish. The colour range isn’t exactly blowing me away, but I like the sound of the wide brush and am tempted to pick up a bottle in the hot pink (3rd from left). Priced at £5.50 each and available at ASOS. As previously threatened, I went and picked up the new Bourjois Elastic Mascara yesterday. 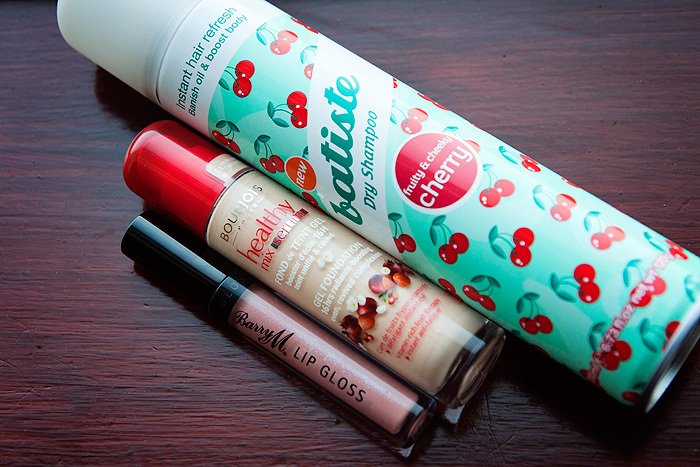 I ended up going to Superdrug to make the most of the £2 off promotion and ended up paying £6.99 for mine. The brush is one of those spikey bristle affairs… ideal for separation and lengthening, not so good for volume. The emphasis on the Bourjois Elastic Mascara is on lengthening, so I wasn’t surprised to see this brush design. What I was surprised to see was the amount of product the wand picked up in those reservoirs. Too much. 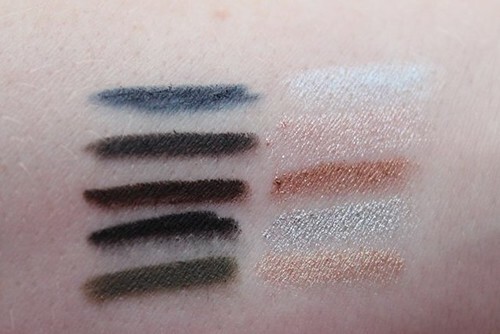 Combine this with quite a wet formula-ed mascara and I knew I was going to have issues with application before I’d even lifted the wand past my nose. I was right. It actually reminded me a lot of the issues I had with the last Bourjois mascara I bought (1001 Lashes). 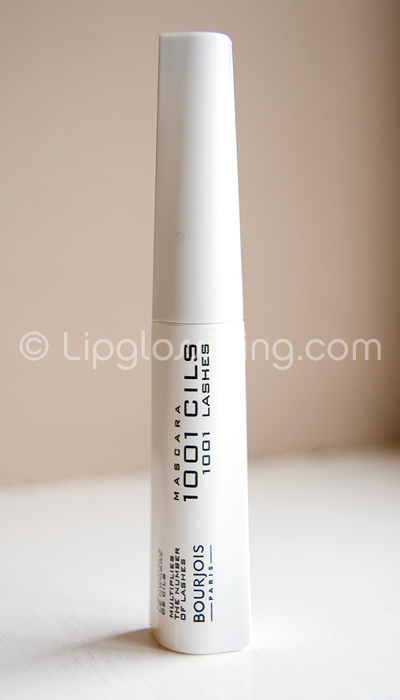 Admitedly, 1001 Lashes has actually grown to become one of my favourites… but it took 3 months for the formula to dry out enough for me to fall in love. 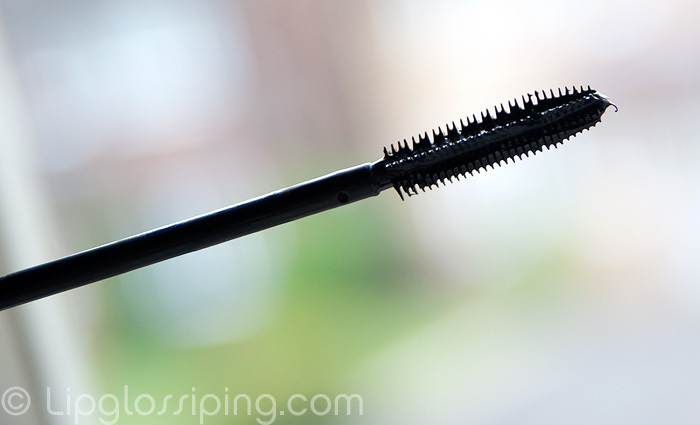 I love the brush on this Bourjois Elastic mascara. It actually ‘grabs’ my lashes. I can feel the pull as I drag through from root to tip. 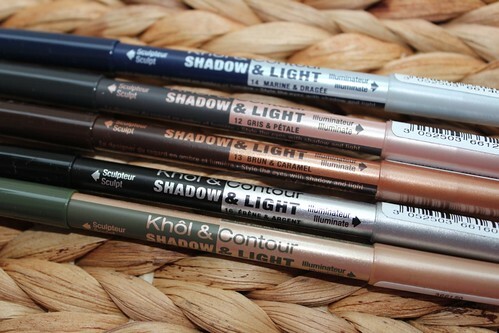 It keeps hold of them like no other brush I’ve tried. So if that formula thickens up a bit after a couple of months, I could have an winning combination on my hands! 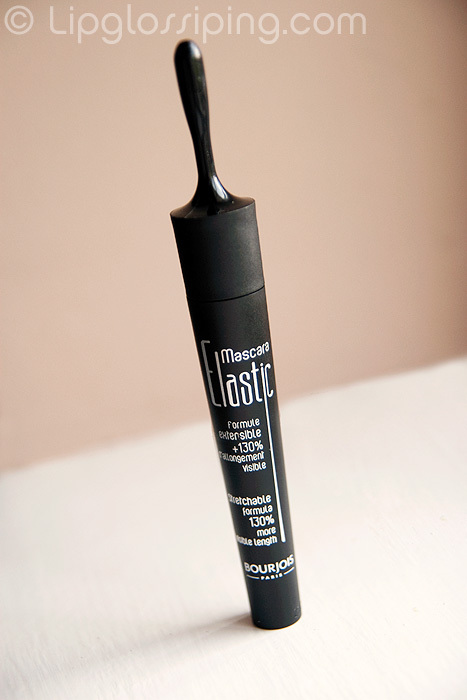 Having said that, once dried… it’s a slightly crusty mascara, this doesn’t really bother me – but I know some of you prefer more flexible and soft finishes. It doesn’t actually *look* crusty… but you can feel the crispiness going on! The weird handle is actually another thing I love about the Bourjois Elastic Mascara. It makes me more ‘light handed’ with the wand and I find myself applying with fluttery light but sweeping strokes as opposed to my usual ham-fisted, poke yourself in the eye efforts. Another cool thing about the handle is that you can ‘twizzle’ the wand whilst applying to get maximum coverage. Didn’t think about that did you?! Rolling the wand between my thumb and forefinger feels quite a natural action as I’m pulling the product through the lashes. Unfortunately, the action just encourages this damn formula to clump… I’m still clinging to the hope that with a bit of age, the formula transforms into something amazing. 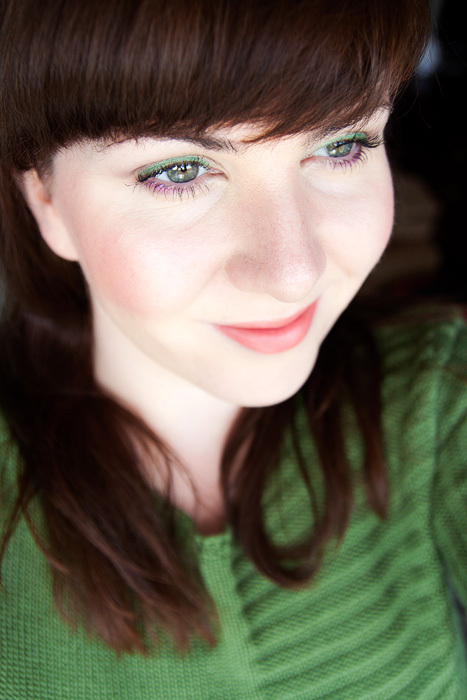 Definitely lengthening… not volumising or even very defining (I’m blaming the formula). Something I’m not on the fence about? 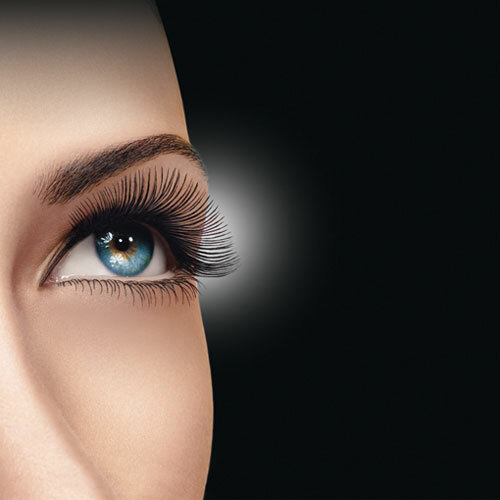 Bourjois, you may be my favourite high street brand… but you hands down win the sucky Photoshop bs eyelash promo image award. 01/02/2010 (UK Date Format) – This post is overdue an update. 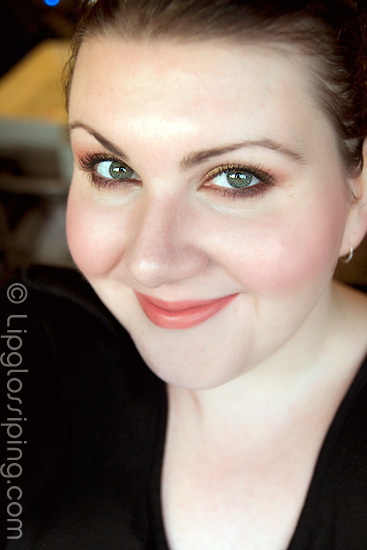 I’ve been revisiting this mascara throughout January. And the formula feels thicker to me now. It’s less clumpy (although I still wouldn’t advise more than 2 coats) and I’m finding that it nicely defines my lashes. I need to update with a photo, and I shall do that very shortly. But I wanted to put this update in now as I saw that I was receiving a few Google search referrals to this page. As it stands, I would repurchase this mascara… I’m not sure *why* I found it so hard to work with back in November, but it seems like a completely different formula to me now that it’s aged a little… I’m enjoying it so much that I took it on holiday with me as my only mascara, that sounds like a silly ‘compliment’. But when you have as many mascaras in rotation as I do, it’s a big commitment! When I was in Superdrug the other day, I was looking for some of Bourjois’ new makeup removers and skincare products when I spied this unremarkable looking tube on the shelves. I adore mascara, I have no less than 7 unopened tubes sitting in my makeup drawers at home, waiting to be put into action, so of course… I had to buy another one. With mascaras, innovation seems to be the buzz word “du jour” and it’s not about the formulas… It’s all about the brushes at the moment. I’ll happily admit that I’m a total sucker for this. I love me a good explanation as to why a mascara brush is gonna make me look like bambi on steroids. So what’s the USP of this one? Excellent! How’s it gonna do that then? 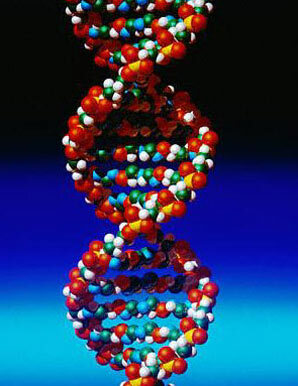 Think DNA, responsible for encoding all the genetic information in our sad little lives. 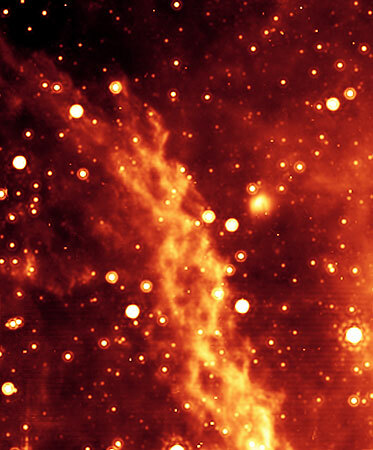 And how about the Double Helix Nebula, found in the middle of our very own Milky Way galaxy? 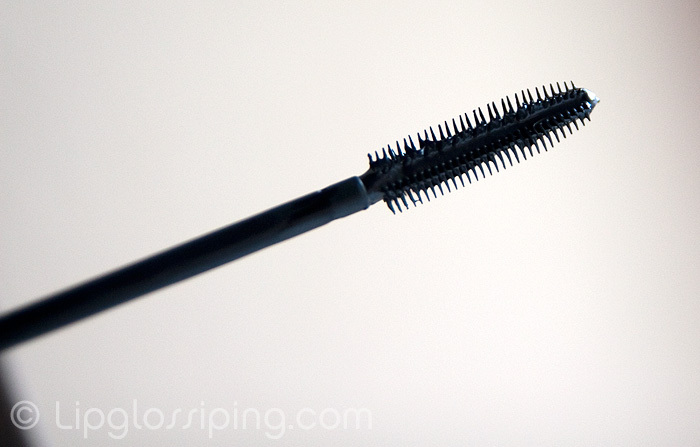 It’s a plastic spiked brush as opposed to fibre bristled, which usually works nicely for my lashes. Do you have a preference? The formula is quite wet… one of those “sneeze and you’ll *really* regret it” types. The head of the wand is really flexible compared to the shaft. 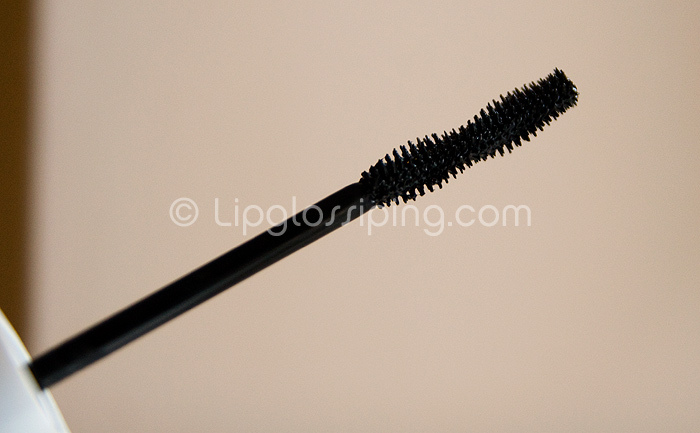 When I was putting the wand back in the tube, I hadn’t quite aligned it properly and instead of it simply jamming and not going in the tube as what usually happens… the head flexed and “pinged”, flicking mascara on me. Nice. 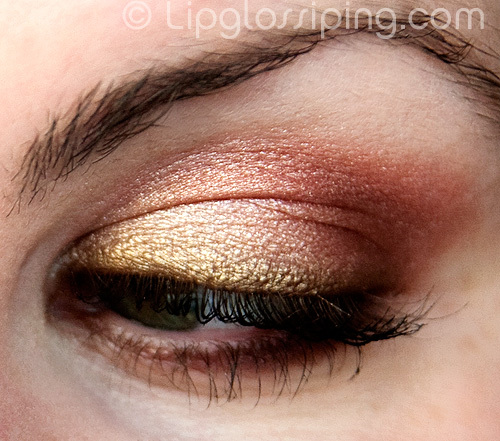 It clumped on the first coat and spread itself over my eyelid thanks to the thin, wet formula. I didn’t find it particularly lengthening, volumising or ‘multiplying’. 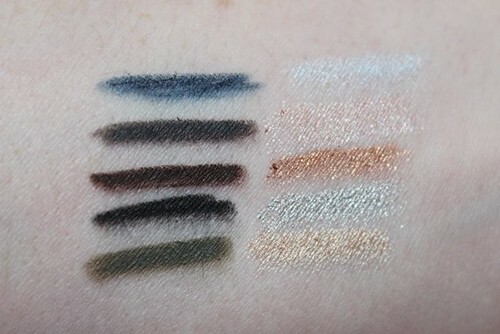 The only positives I have are that it contains a nice strong black pigment and thanks to the thin brush you can reach the inner lashes with ease. 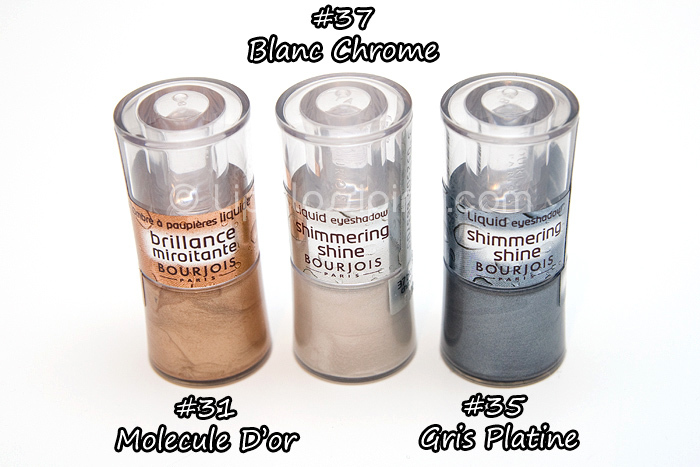 Ohhh Bourjois, my favourite high street brand. It’s impossible to pronounce your name without doing a pouty french expression, it just doesn’t seem right. 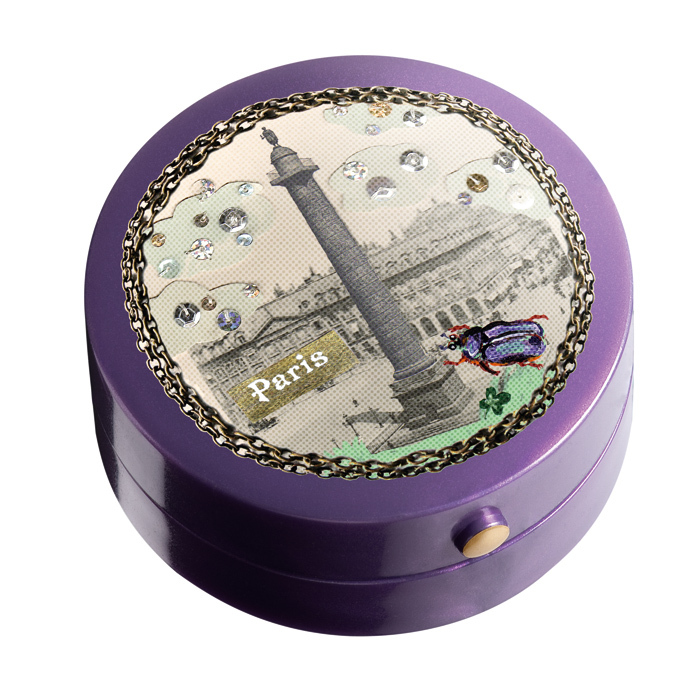 I’ve been a big fan of Bourjois’ “little round pots” for years and was beyond excited to see Bourjois’ tweet about this Limited Edition collection of vintage Parisien styled packaging.